Pre-construction to be built. Once buyer contracts. AAA amazing waterfront location with southern exposure and easy access to main water way. 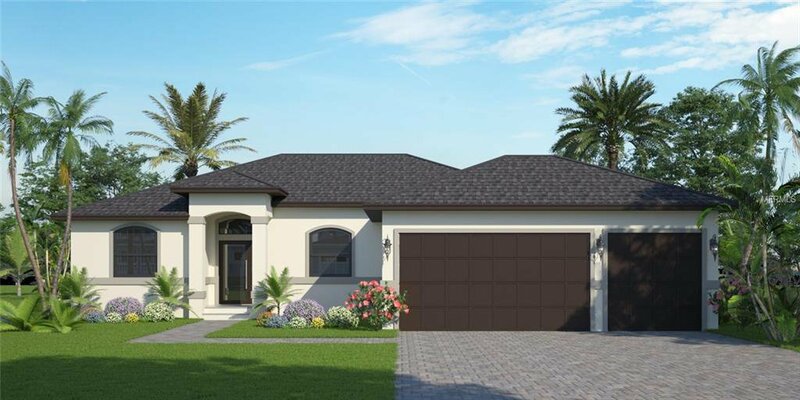 Beautiful custom Siesta model offering three bedroom, 2 1/2 baths with second bedroom with own private bath. Huge great room with soaring cathedral ceilings open up to custom kitchen, dining room and kitchen nook. 8 foot triple go away sliders lead to large lanai. Master suite with walk-in closet and walk in shower. Wood cabinetry throughout, granite tops, 9 '4" soaring ceilings are just some of the exceptional custom features offered in this model. Located minutes to Manasota Key/Englewood beach, and world-famous Boca grande. Close to shopping, dining, decks, and over 11 golf courses nearby. Please see attached floor plans and specs. Three car garage available additional $15,000. Pool packages starting at $35,000. We have a model located at 14502 Maysville Circle in South golf Cove . Paradise begins at your front door! !